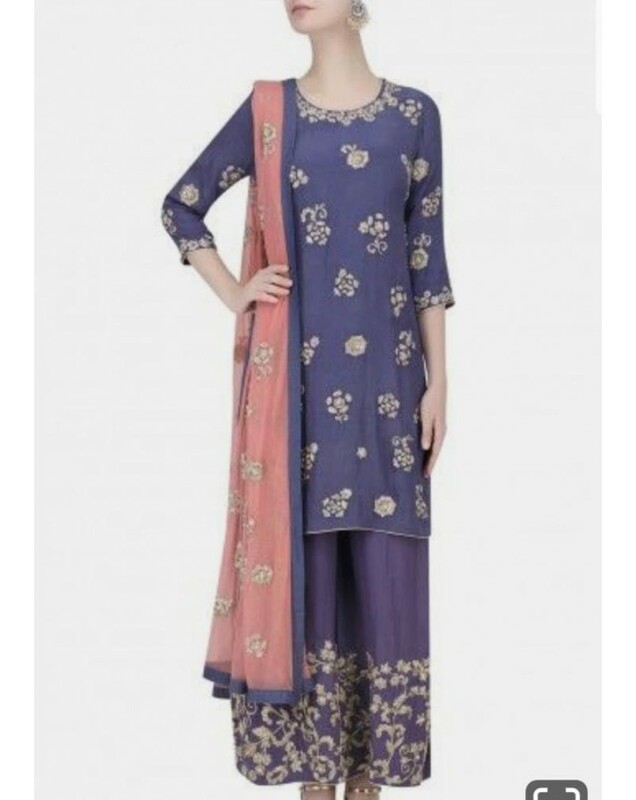 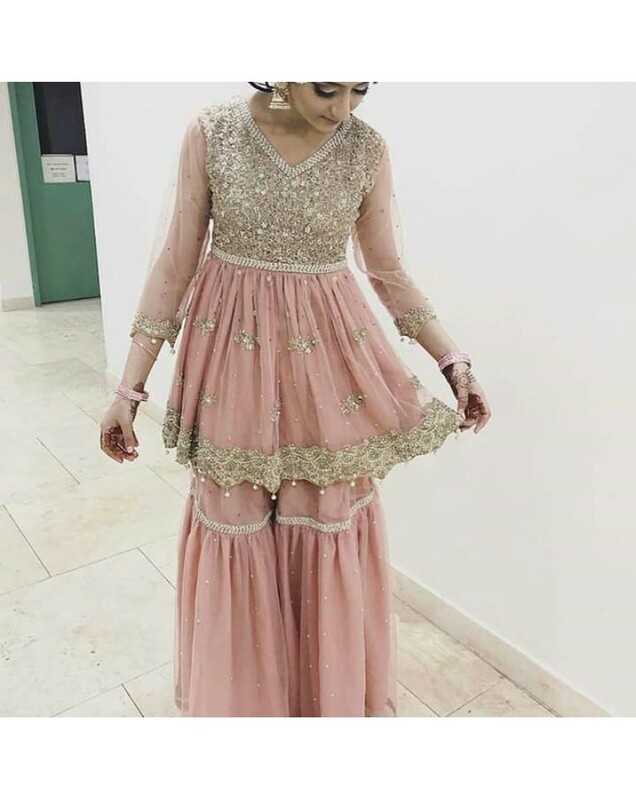 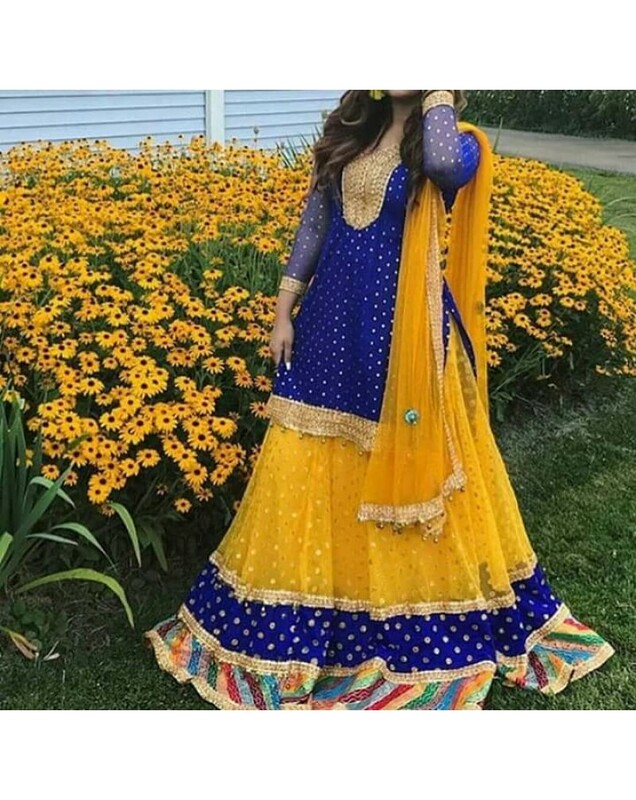 Heavy embroidery bridal dupatta fabric organza with 4 inches boarder and four side flower bunches, pure silk shirt with front small booties motifs and jamawar pants US$ 450Same suit as it is in picture with long shirt full embroidery US$ 1100 .. 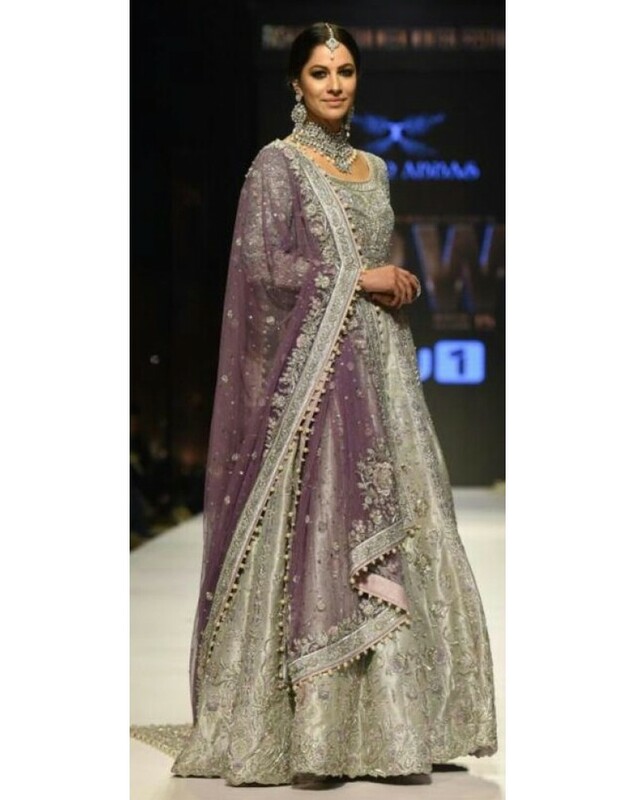 Bridal Dress hand Embroidery Pure Chiffon Shirt and Dupatta, Lehenga Micro Velvet.. 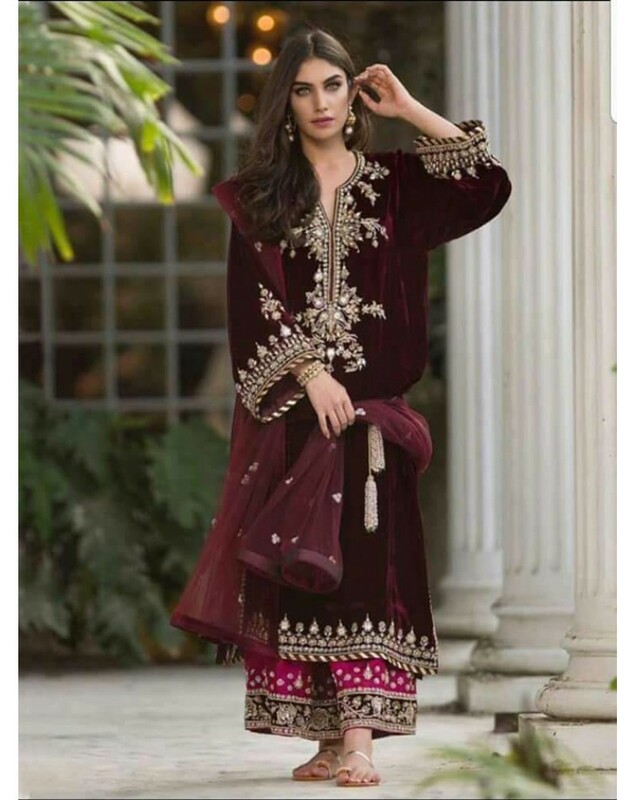 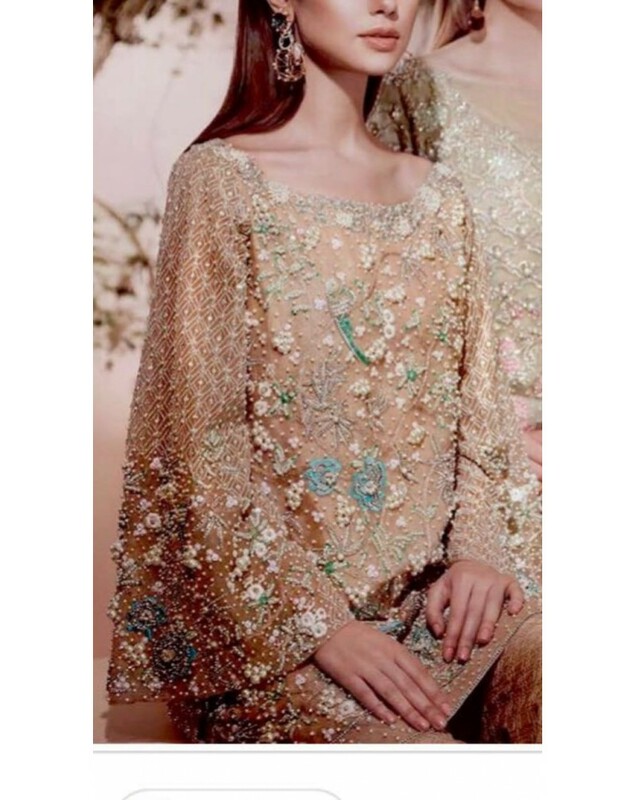 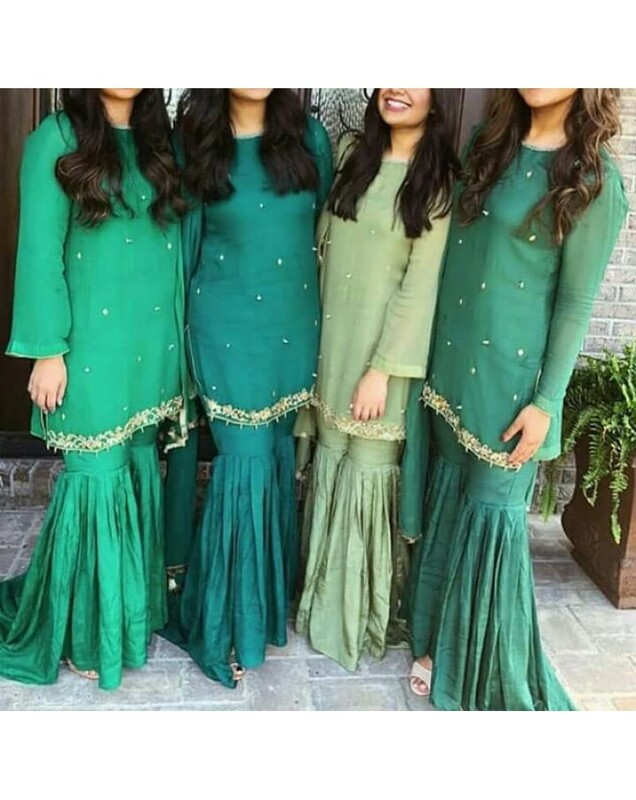 Fabric Chiffon in shirt , trouser silk hand embroidery for wedding occasion #mahira #khan #saba #qamar #mehwish #hayat #mahnoor #baloch #iman #ali #marwa #hocane #reema #maya #humaima #malik #umaima #veena #saima #noor #anjuman #sara #loren #zeba #resham #sohai #sohaha #abro #sana #neeli #sajal #aly #ayeza #mahnoor #baloch #sanam #urwa #ayesha #saeed #arij #fatima #fatyma #aam.. 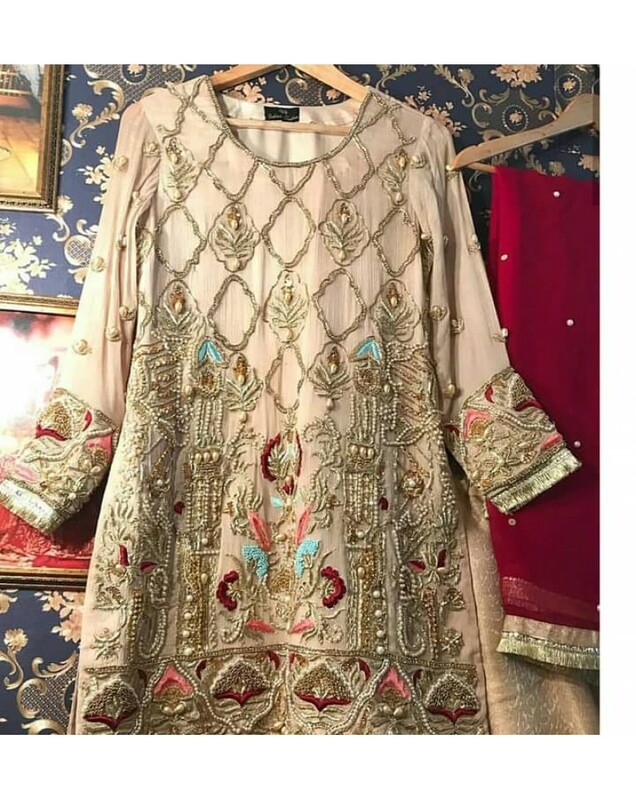 Shirt dupatta chiffon, trouser jamawar Dress for engagement, bridal, mehandi or any occaassion .. 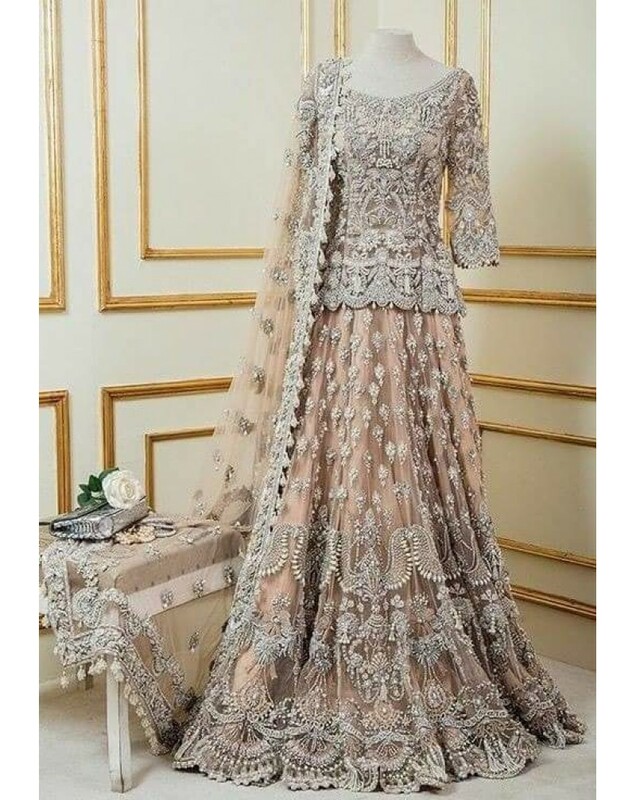 Bridal Dress Fabric Pure Organza hand embroidery .. 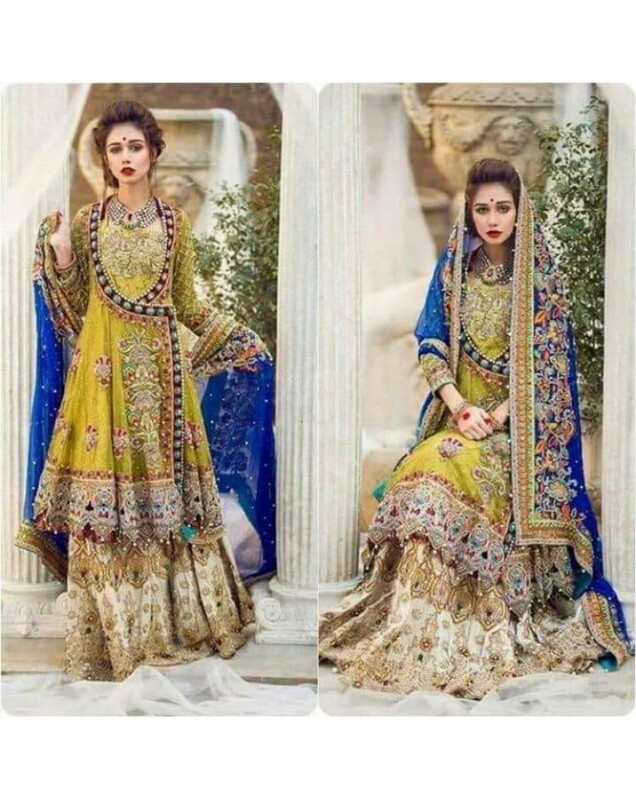 Fabric local chiffon with exclusive delicate kaamdani embroidery work on shirt and dupatta ..
Organza shirt and trouser full embroidery on shirt front and full sleeves, heavy dress for engagement , wedding , party wear .. 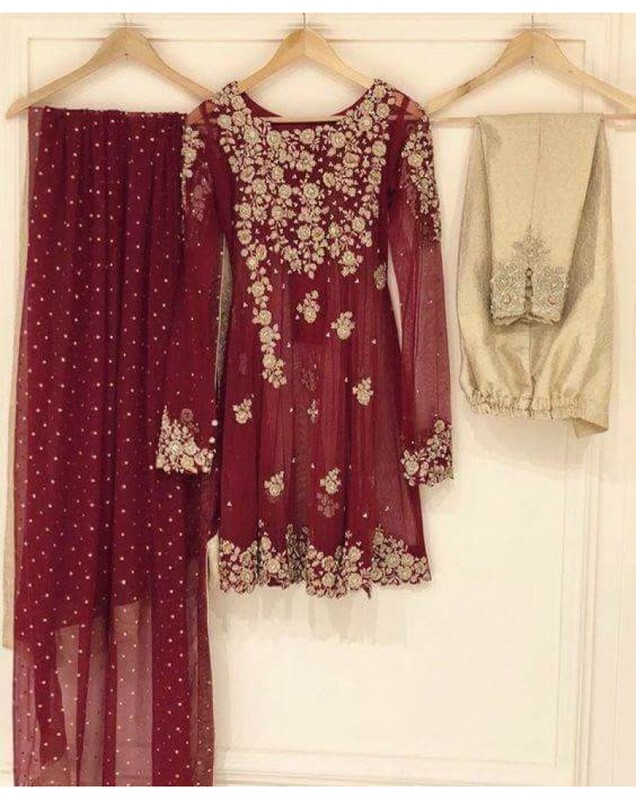 Shirt and dupatta chiffon, gharara jamawar, lace work, best dress for bridesmaids, sisters for any wedding occasion wedding, valima, mehndi, mayoon ..
Chiffon shirt dupatta, silk gharara, hand embroidery in front , dress for bridesmaids, sisters, colors can be change to your choice ..
Bride's maid, sister dress ideal for wedding occasion, all chiffon suit, colors can be changed .. 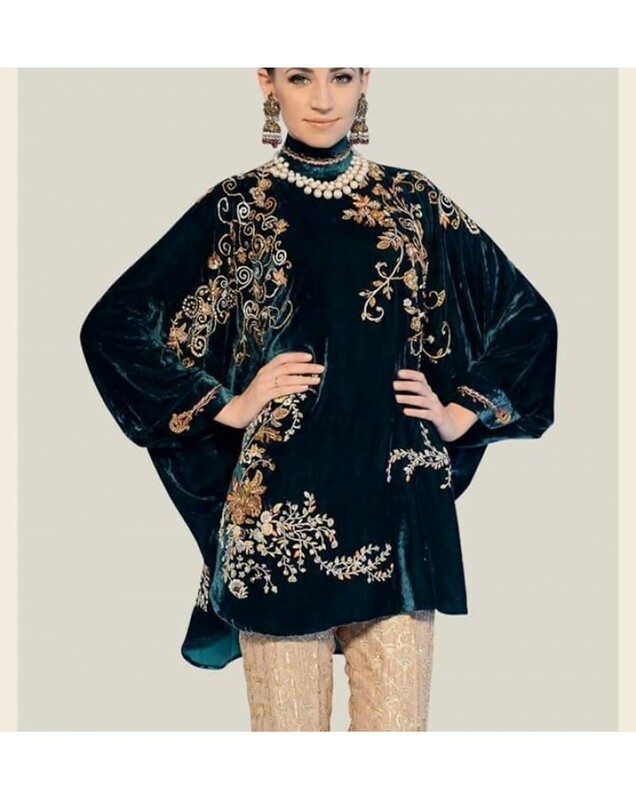 Shirt micro velvet 9000 lighter in weight , more warm, trouser jamawar dupatta chiffon, handwork embroidery ..
Charmeuse Shirt trouser silk, dupatta netembroidery in neckline and front border on shirt embellished with sequences kora dabka stone pearls and zardozi Embroidery in trouser embellished with sequences kora dabka pearls stones and zardozi.Tussels on dupatta will be charged extra $20 .. 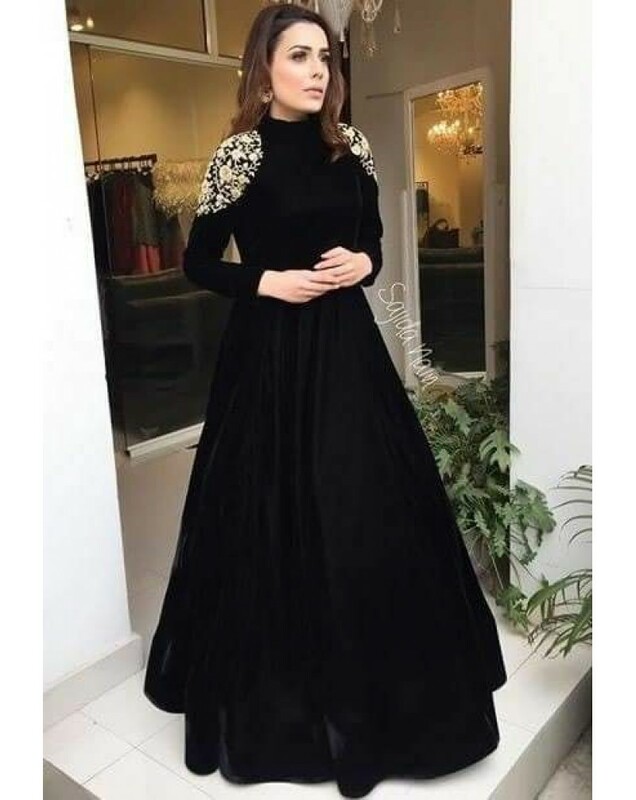 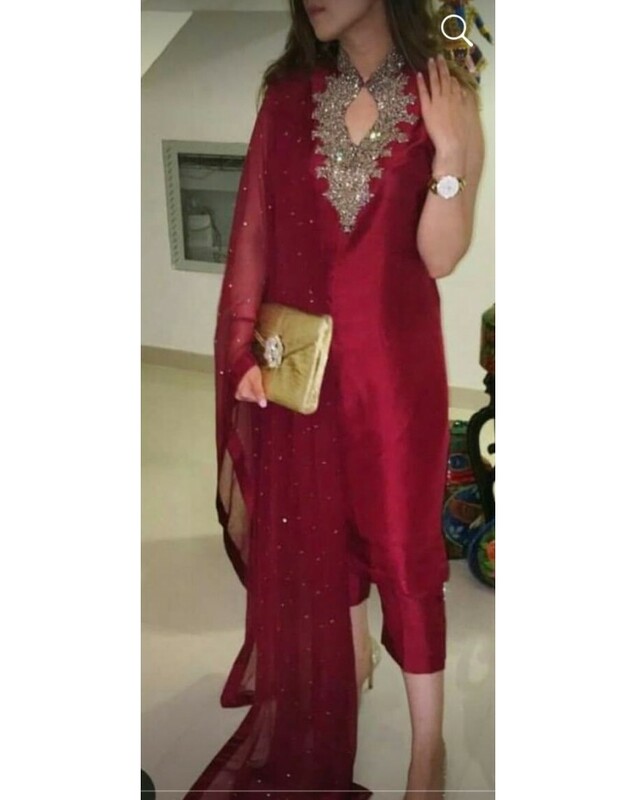 Shirt velvet toruser silk chiffon dupatta best dress for party, evening wear, wedding, engagement .. 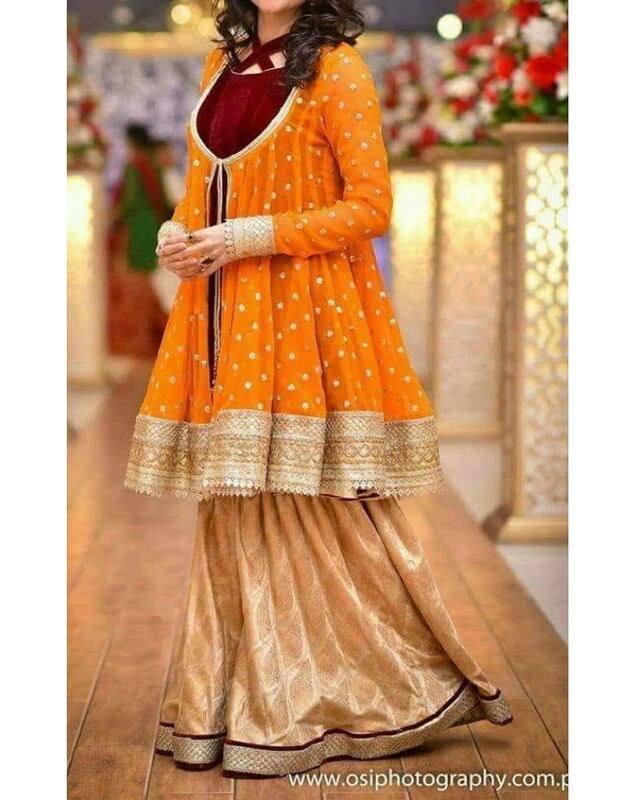 Shirt dupatta pure chiffon sharara silk bridal dress .. 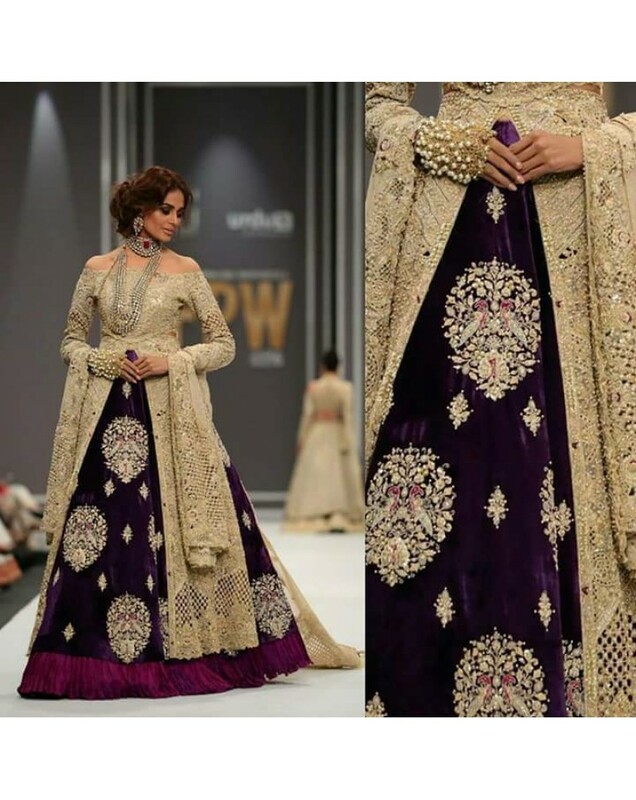 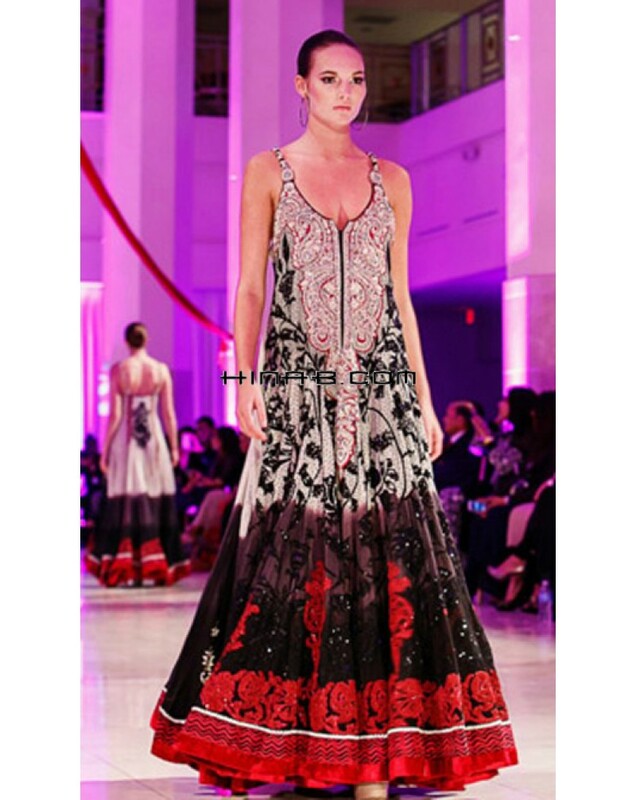 Fabric shirt pure chiffon sharara pure jamawar heavy bridal dress hand work ..